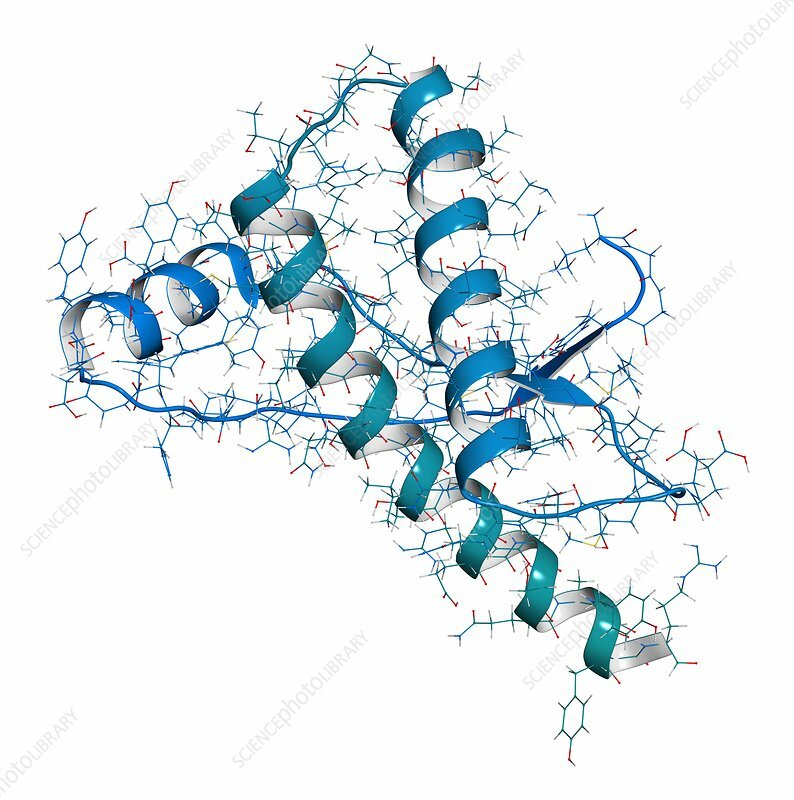 Human prion protein (hPrP). Associated with neurodegenerative diseases, including kuru, BSE and Creutzfeldt-Jakob. Combined wireframe and cartoon model. Cartoon and carbon atoms: backbone gradient colouring (blue-teal); other atoms: conventional colour coding.